Ideally located just 30 minutes from central London with access to the M23 and M25 motorways, the Hilton London Gatwick Airport hotel is the only hotel at Gatwick Airport that has a covered walkway linked to the South Terminal. The North Terminal is also just moments away, allowing optimum convenience for your journey. This Gatwick hotel also offers Park and Fly packages, a fully equipped business center and modern fitness center.A short train journey from the hotel will take you to the center of London where a vast array of shops, restaurants and attractions await you. Brighton offers an ideal alternative daytrip, as well as the Blue Bell railway that offers delightful steam train trips through the English countryside.The Hilton London Gatwick Airport hotel offers a wide range of guest rooms that feature convenient amenities to suit your needs. All guest rooms include high-speed internet access and are sound-proofed for your comfort. Upgrade to an Executive Room to enjoy more space, and exclusive access to the prestigious Executive Lounge.Start your day with a delicious breakfast in the Garden restaurant, followed by a la carte dining in the modern and sophisticated Amy’s restaurant. Savor a quick coffee, light lunch or snack throughout the day in Amy’s Bar, or watch the game over a refreshing pint in Charlie Fry’s Sports Bar. Walking distance and directly linked to Gatwick Airports North Terminal by a covered walkway. The perfect way to start your holiday or business trip. 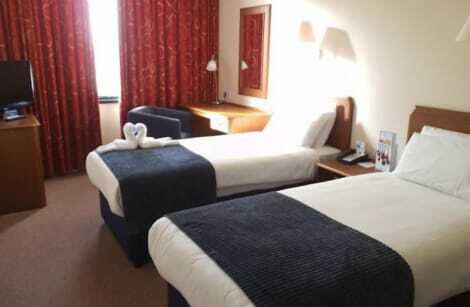 The Europa Gatwick Hotel is just a short drive from Gatwick Airport, conveniently located near popular family attractions such as Chessington World of Adventures and the Bluebell Railway. Kid- and pet-friendly, all rooms have TVs and tea and coffee making facilities, and free internet is available in the lobby. With use of the well-equipped leisure club (fee applies), this Mediterranean-inspired hotel provides the perfect location for those looking to relax near the airport. Situated less than one mile from London Gatwick Airport, the 3-star Airport Inn Gatwick is perfectly located for business travellers and holidaymakers alike. With plenty of perks such as airport parking and a 24-hour shuttle bus service, getting to and from Gatwick Airport is easy and convenient. Dine in Harriet’s Restaurant found in the main part of the hotel and test the á la carte menu. Each room has air conditioning and free high-speed wi-fi. Our modern, quirkily decorated hotel is just the ticket for a pre- or post-holiday rest with the warmest welcome, guaranteed. Fully equipped with free fibre Wi-Fi, 141 modern en suite bedrooms, and 24/7 bar and restaurant, we're on hand around the clock to make sure your every need is met. Plus with ample secure on-site parking (for a small fee), we can take care of your car while you're away. Up and at 'em early? We serve breakfast from 4am for early-bird travellers. 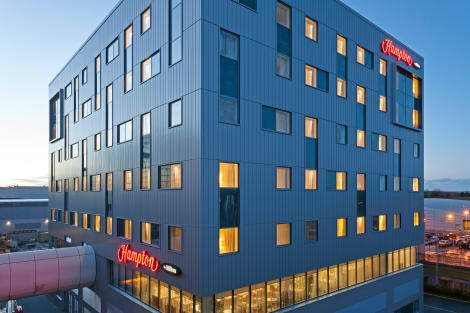 Connected to Gatwick airport, this trendy 3-star hotel couldn’t be any closer to departures unless it was on the runway! Enjoy a hassle-free stay with express check-in, multilingual staff and complimentary wi-fi throughout. All rooms have rainfall showerheads and LCD TVs. 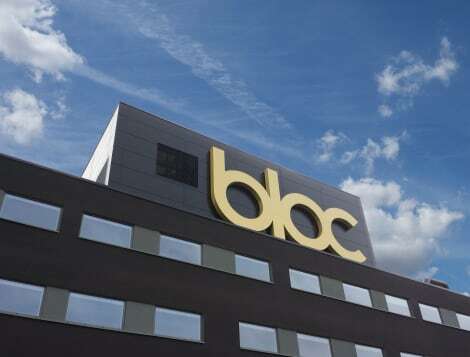 At the cutting edge of hotel technology, almost all of the electronics in the rooms of the BLOC Hotel Gatwick can be controlled by a smartphone or tablet. Located just moments from the check-in desks at Gatwick Airport's North Terminal, Hampton by Hilton London Gatwick Airport is only five minutes from the South Terminal, which can be easily reached via the free transit service. Enjoy convenient links to London, Brighton and the South East and nearby attractions including Lingfield Park Racecourse, Go Ape Crawley, Brighton Pavilion and Nymans. 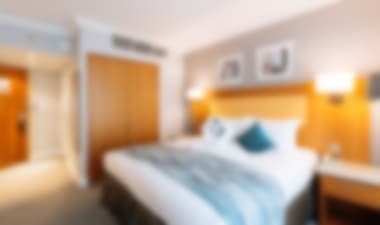 The commercial and business parks in Crawley, East Grinstead, Redhill, Reigate and Burgess Hill are just a short distance from our Gatwick Airport hotel.Feel at home in an inviting, air conditioned guest room at this hotel near Gatwick Airport, where you can check emails with free WiFi at the ergonomic desk or using the handy lap desk, watch movies on the LCD TV, refresh in the walk-in power shower of your spacious bathroom and sleep soundly on the comfy bed.There is a hot breakfast included when you stay at this welcoming Gatwick Airport hotel and you can recharge with light meal or beverage at any time in the 24/7 snack area. Print documents or surf the web in the work zone or hold a meeting for up to 16 people in the flexible meeting room. After a long flight, energize with a work out in our free, 24-hour fitness center, equipped with the latest exercise technology.Friendly service, clean rooms, comfortable surroundings, every time. If you're not satisfied, we don't expect you to pay. That's our commitment and your guarantee. That's 100% Hampton by Hilton™. 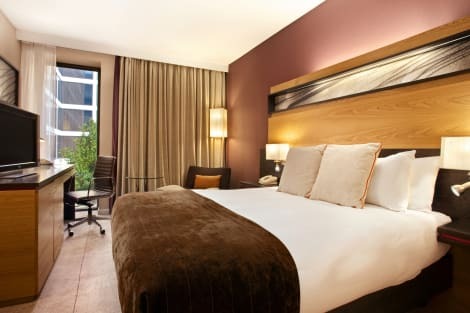 The 4-star luxury Sofitel London Gatwick hotel is directly linked to Gatwick Airport’s North Terminal. Guests can access the hotel via a short covered walkway, making it an ideal base for both business and leisure travellers. On site, guests can dine at La Brassiere, which offers a full European menu. The Kua Bar serves a range of cocktails and Le Café has a beautiful terrace. Each room includes air conditioning, free wi-fi access, a refreshment tray and cable TV. With a stay at Courtyard by Marriott London Gatwick Airport in Gatwick, you'll be within a 15-minute drive of Gatwick Aviation Museum and Manor Royal Business Park. This 4-star hotel is 8.9 mi (14.3 km) from Surrey Hills and 10.5 mi (16.9 km) from Queen Victoria Hospital. A modern hotel near Gatwick Airport with secure parking and a shuttle bus to the airport Holiday Inn® London - Gatwick Airport hotel offers sleek, comfortable rooms just five minutes' drive from Gatwick Airport. Guests can take the convenient 24-hour airport shuttle bus from the hotel, which runs every 15–30 minutes. If you book a Park, Stay & Go package, you can leave the car in the hotel's secure car park for four, eight or 15 days while you enjoy your holiday. Whether you're taking the family to the beaches of Tenerife or the ruins of Rome, you can have a good night's sleep knowing you're only five minutes from Gatwick Airport. To start the holiday early, take the kids to Chessington World of Adventures, about a 30-minute drive from the hotel, or catch the Gatwick Express for a half-hour journey to London. Business guests can catch up on work in the modern rooms, thanks to the free Wi-Fi and comfortable work desk. You can hold a conference for up to 200 delegates in one of 12 fully equipped meeting rooms. Set up your presentation with the digital projector, or improvise with a whiteboard. Lunchtime meeting? You can order salads or hot food for your team. Have a relaxing night with a tasty meal from the stylish restaurant. Kids stay and eat free, and they can choose from a delicious menu. You can check in for your flight with free Wi-Fi. Ideally situated in the Manor Royal Business Park of Crawley Business Quarter, this hotel is just 4 km away from Gatwick Airport and train station with a number of shops nearby. 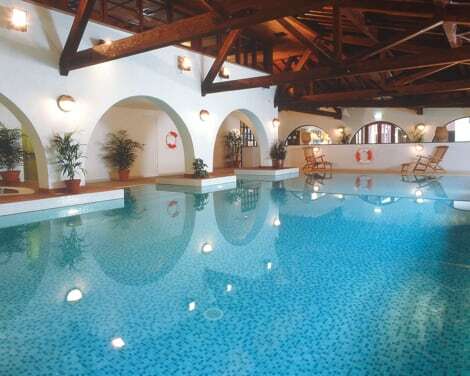 The hotel offers very comfy beds, a restaurant and meeting facilities. The hotel has an on-site car park (at an additional cost), but 'park and fly' packages are not available. There are a total of 220 rooms at this airport business hotel. Guests are welcomed in the lobby with 24-hour reception and check-out services. Facilities include air conditioning, lift access, a café, bar and wireless Internet access. All of the rooms are en suite with a shower, bath and hairdryer. In-room amenities include a double bed, direct dial telephone, satellite/cable TV, radio, Internet access, safe, tea and coffee making facilities, and an ironing set. The hotel serves a breakfast buffet, and a set menu for both lunch and dinner. 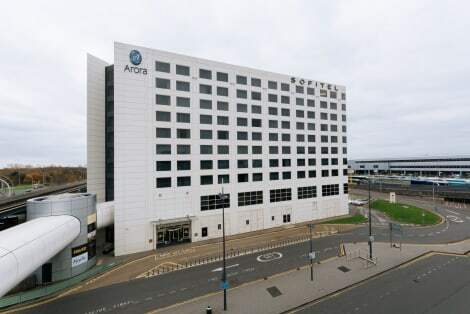 The hotel is located directly opposite the main entrance to the North Terminal, 350 meters from Gatwick airport. It offers free transit to the South Terminal which takes only 2 minutes. Also located within easy reach of the M25 and M23. Has spacious rooms with king size beds, television and WI-FI. Is ideal for business or leisure travellers with spacious rooms, key location, resturant and bar. lastminute.com has a fantastic range of hotels in Gatwick, with everything from cheap hotels to luxurious five star accommodation available. We like to live up to our last minute name so remember you can book any one of our excellent Gatwick hotels up until midnight and stay the same night.